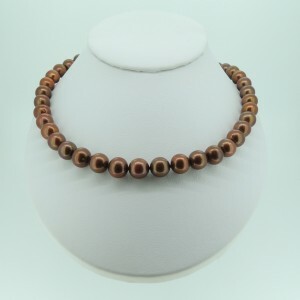 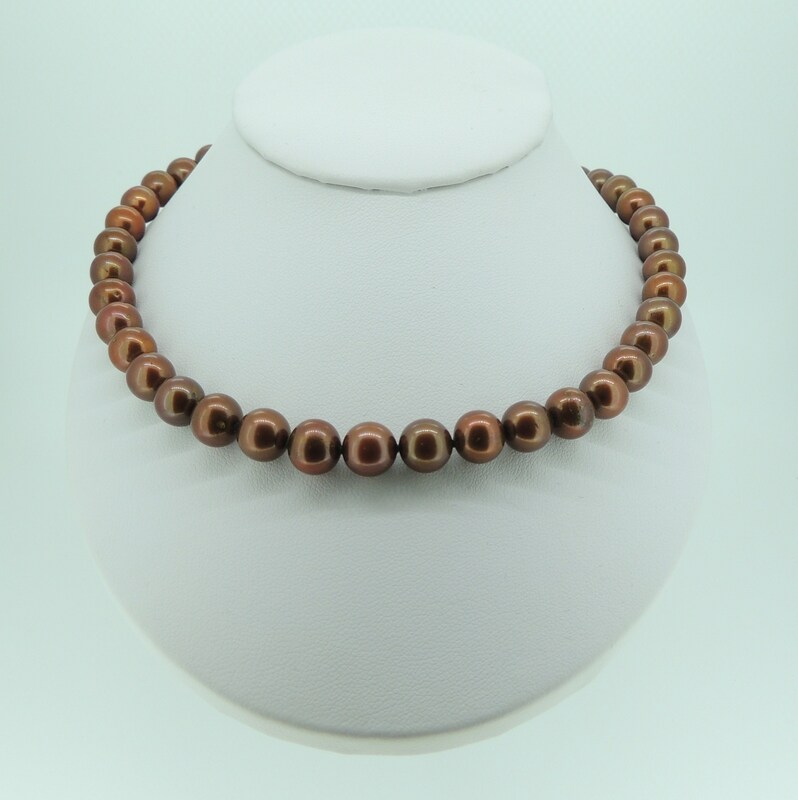 Cultured freshwater 8-8.5mm chocolate pearl necklace with knots between each pearl. 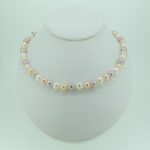 These high luster pearl necklace is finished with 9ct Yellow Gold Ball clasp and is available in different lengths. 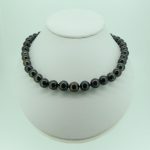 Also we offer a matching bracelet.